Jeremy believes he’s finally found a way to materialize his friends directly into Sector 5. Ulrich is tapped to be the Guinea pig to test it out. All begins as planned until Jeremy notices that Ulrich never appears in Sector 5. He has simply… vanished. An atmosphere of calamity and depression sets in. In fact, what Jeremy and the others don’t realize is that Ulrich has only lost his “corporal envelope”: reduced to a spectEr, unable to communicate, Ulrich is in fact present – not in body but in spirit – but he is invisible to his friends. The only way Ulrich will be able to communicate with the others and explain the problem is to possess somebody else’s body – which he does. Once informed and reassured, Jeremy starts programming an application to hunt for Ulrich’s body. But it’s not that easy… especially when XANA ups the ante by starting an attack! Ms Hertz hands out the test results for the year 9 classes and most of them don’t look good. Jeremy escapes the carnage by a long shot but Ulrich doesn’t have a chance and is berated severely by Ms Hertz. Worried, the teen is sure he’ll be put into 9th grade remedial at the next academic review. Jeremy announces some good news: he thinks he’s found how to access Sector 5 directly. He’ll need a guinea-pig however to test it. The group draws “straws” and Ulrich is chosen. The team goes to the factory that evening. Aelita, Odd and Yumi go to the Arena first. Ulrich then enters the scanners so Jeremy can start the procedure. Alas, Ulrich doesn’t appear with the others! It’s a catastrophe. 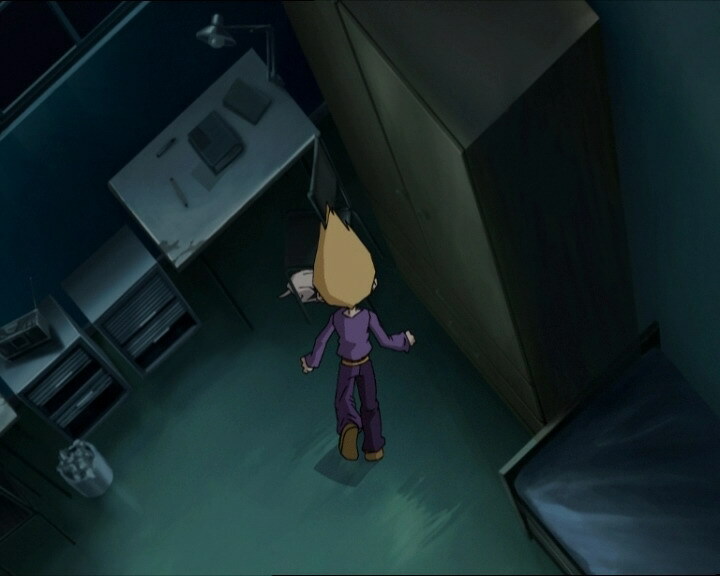 Jeremy brings back his friends and starts a search of Lyoko that turns up nothing: Ulrich has completely disappeared! The brainiac is full of remorse, which doesn’t seem to calm Yumi down as she yells at him harshly before running away in tears. All the heroes are hurt deeply and Jeremy works long and hard into the night to try and find Ulrich. Ulrich then appears alone in a scanner. All by himself, not even his own body is there! Jeremy’s error separated his mind and his virtual envelope. Ulrich’s ghost realises that he can’t talk to anyone, only enter bodies of other living things. He enters Kiwi and informs his friends of his situation. 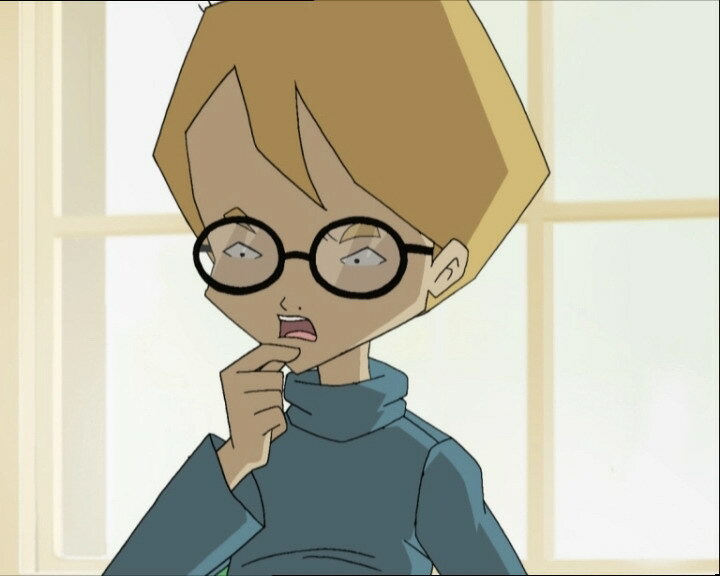 Jeremy then realises: Ulrich’s body did arrive on Lyoko, but without his mind. He couldn’t localise him because his body emits a different signal! While Jeremy goes to the factory, Ulrich takes advantage of the situation by entering Jim’s body. This done, he meets Ms Hertz who wishes to learn to dance. Ulrich says he’ll agree on the condition that Ms Hertz doesn’t do anything severe to Ulrich at the academic review! Arriving at the factory, Jeremy is startled: Ulrich’s body is in Sector 5 after all, but it’s moving on its own! 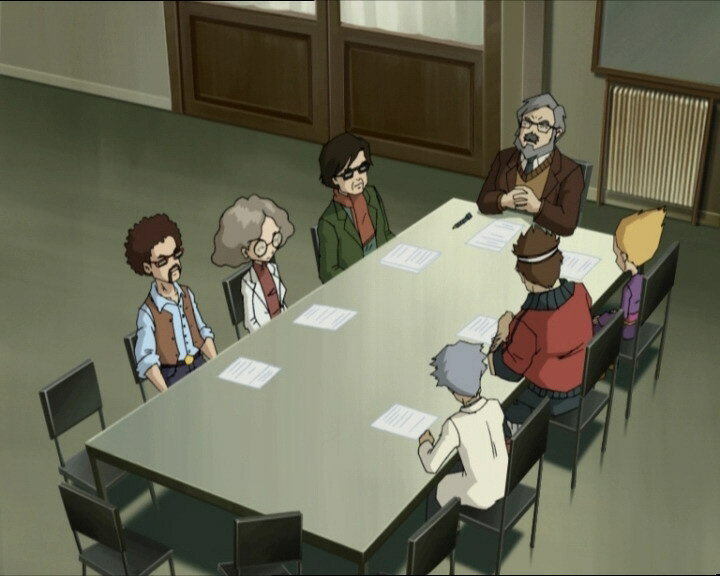 Only Aelita and Yumi can be sent in, as Odd and Ulrich (in Jim’s body) must attend the academic review! While the committee of teachers discusses the students’ cases, Aelita and Yumi go to Sector 5 to discover that XANA has taken over Ulrich’s body. It evades its pursuers using Supersprint and, helped by XANA, walks straight through a wall and into the Core Zone! 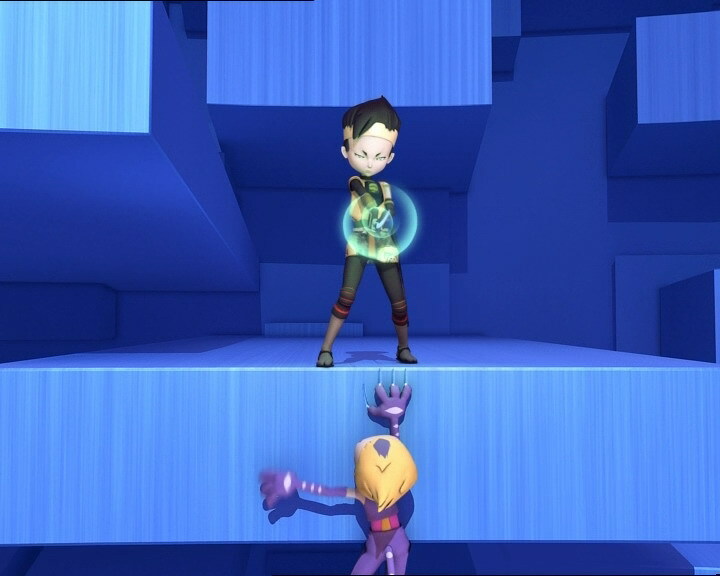 The two Lyoko Warriors are forced to go there via the Celestial Dome while the controlled body sends green energy blasts at the Core! After a long delay, the committee finally reaches Ulrich’s file. The teachers are very critical of him without knowing that he’s in the room with them! Ms Hertz convinces the others that they must transfer him to the remedial class until suddenly, pretending to be Jim and supported by Odd, Ulrich launches into a grand speech about himself, talking about all the problems an adolescent can have: girls, family… The committee is touched, but Ms Hertz viciously defends her position. Annoyed, Ulrich promises that if she changes her mind, he’ll teach her all the ballroom dancing styles she could wish for! Once the decision has been made, the two students leave the review because of “the emotion”. 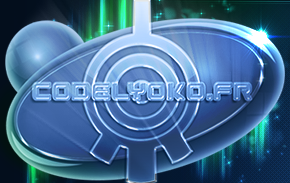 Odd is virtualised onto Lyoko and heads for the Core Chamber. Ulrich leaves Jim’s body and waits in a scanner, waiting for his body to be devirtualised so he and it can be fused again! 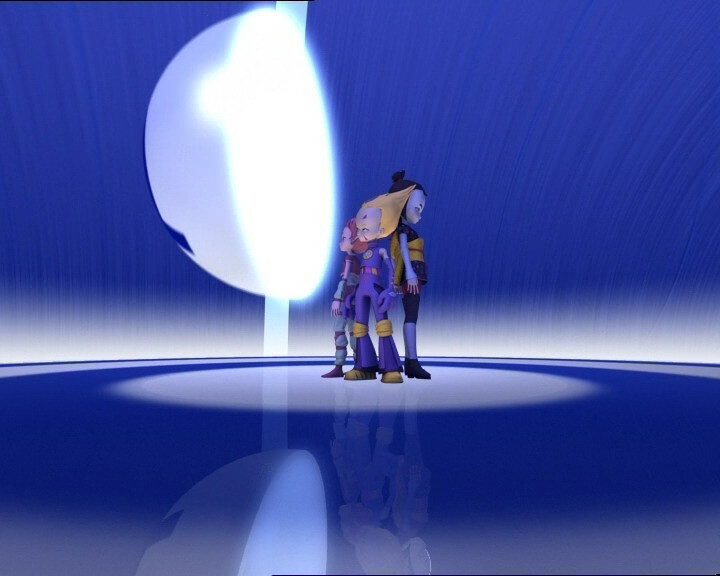 In front of Lyoko’s core, the battle is engaging! Ulrich’s body possesses all sorts of abilities and he’s flanked by Mantas, mobilised by XANA. 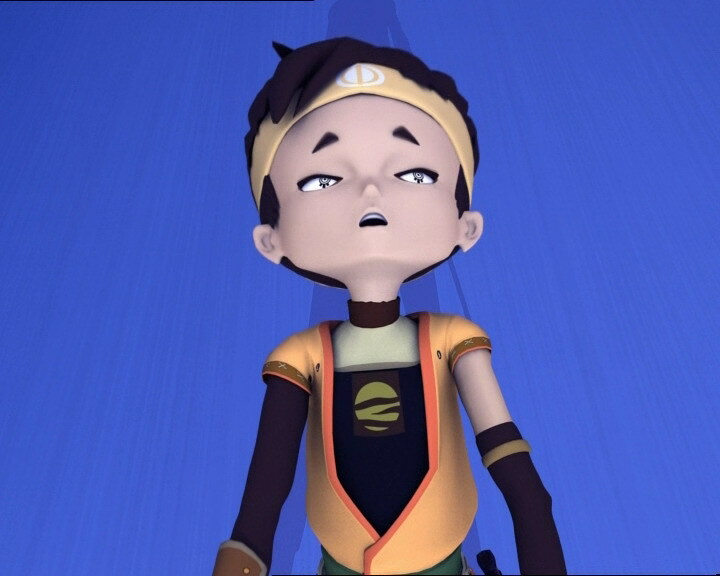 Aelita and Yumi manage to destroy some of the monsters and reach Ulrich’s body, but they weren’t quick enough… The first shield layer has already gone! Odd enters on his Overboard! He quickly gets rid of the remaining monsters and confronts Ulrich’s body in a final fight. Even Triplicate can’t save the possessed body from Odd’s relentless assault, and it’s devirtualised. 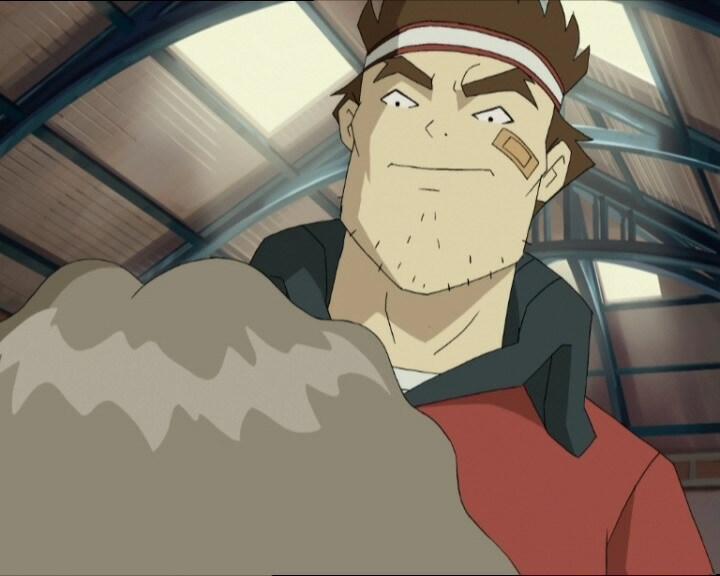 In the scanner, the fusion of Ulrich’s body and mind is successful, much to the group’s good fortune. Everything is back to normal for the heroes, on the other hand for Jim, he receives a slap from Ms Hertz when he said he never promised her a dance lesson and that she probably had too much herbal tea! 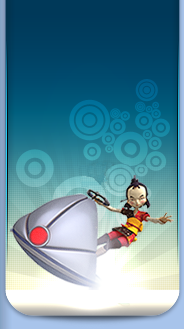 - Attack: Attack the Core of Lyoko by taking control of Ulrich’s virtual envelope. - The principal thinks Odd has a lot of potential but that he’s as lazy as the day is long. - Jim says he was a professional ballroom dancer in Buenos Aires. - Mr Hertz wants to impress a man named Pedro by learning ballroom dances. - In this episode, Odd defeats Ulrich’s virtual envelope while it’s controlled by XANA, giving it extra powers. This can be seen as a sort of revenge, as in episode 51 “Revelation” Ulrich declares that Odd has never beaten him. Also, the combat itself of Odd against XANA-Ulrich is an inversion of the fight in episode 51 when Ulrich faces off against a polymorphic clone of Odd. - The principal’s eyebrows are grey when he tells Ms Hertz she was an adolescent once. - How did Ulrich get out of the scanner room if he couldn’t operate the lift? - When Jeremy says “Oh no! Impossible!” it shows a clip of him later in his room figuring out what happened to Ulrich. Strangely, this error didn’t occur in the original French episode. Similarly, when Ulrich says “Great, that’ll give me time to see about my future," we see Jeremy talking. He’s in the same pose as when Jeremy was saying he’ll have it worked out by that afternoon, but his face is shaded the opposite way and he moves slightly. It looks like Ulrich accidentally walked into Jeremy’s body at this point, but it was just an animation error. Again, this didn’t occur in the original French. - The door handle to Odd and Ulrich’s room is on the left instead of the right. - The handle to Jim’s room is on the left instead of the right at the moment when Ulrich (in Jim’s body) leaves. - Ulrich takes control of Kiwi’s body and talks to his friends. However, dogs, like most animals, don’t have the necessary organs in the throat to make the same sounds humans can. 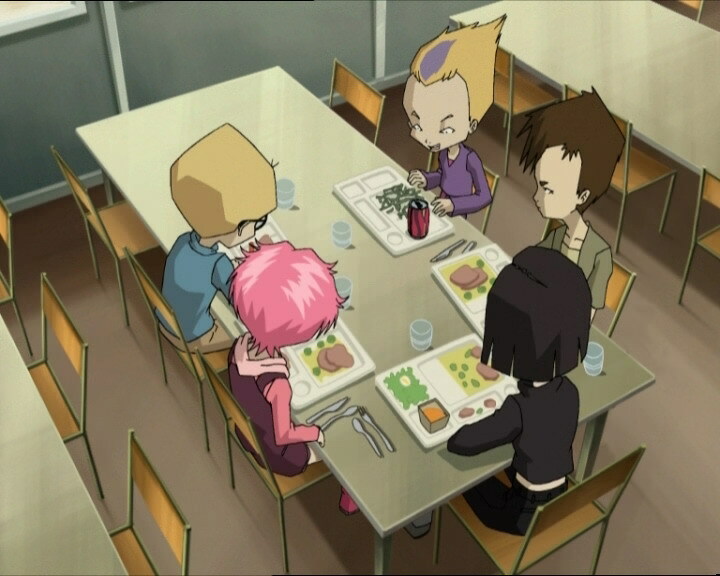 - When Ulrich (as Jim) enters the cafeteria and tries to stop the food fight, we can see Odd, Yumi and Aelita. 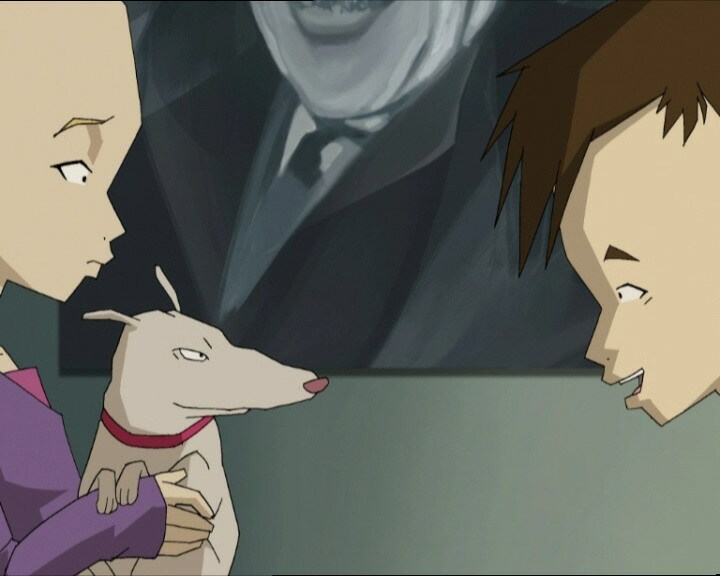 Then a moment later, when he leaves with Odd and Yumi, they receive a call from Jeremy who’s at the factory with...Aelita! - XANA can send green energy bursts from Ulrich’s sword. - It’s academic review day for year 9. - First mention of a man Ms Hertz is dating: Pedro! - First time a vehicle (the Overboard) is used in the Core Chamber! - The key to deactivate the countdown is the same as in episode 34 “Missing Link”. 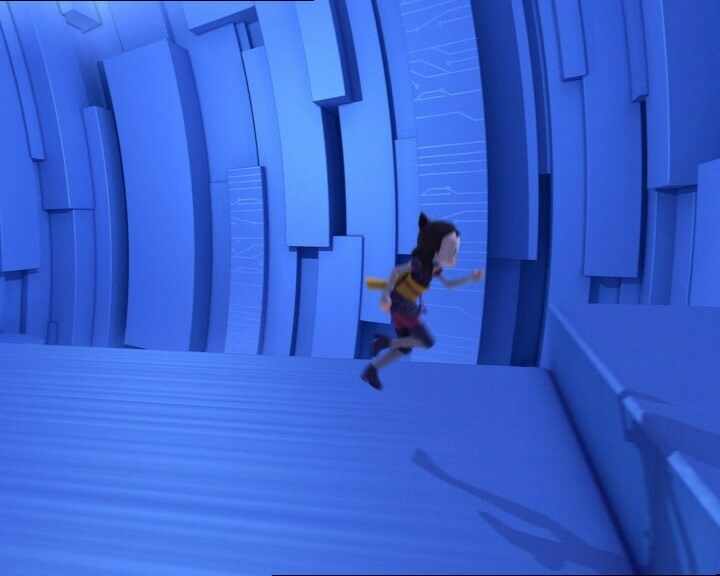 Aelita and Yumi even run in similar paths to the ones Odd and Ulrich did, for the most part! - Ms Meyer, Ms Kensington and Mr Caggiat are strangely absent from the academic review. - Only episode in which Odd winks at the viewer. - Like in episode 46 “Déjà Vu” Nicolas says in his exam that a kilo of mercury weighs a tonne, which is what Sissi said when Ms Hertz asked her before. - Jim is left unconscious in the scanner room, but we don’t know how he was returned to the school. Did he wake up in the scanner room and leave without saying anything or did the heroes carry him back? 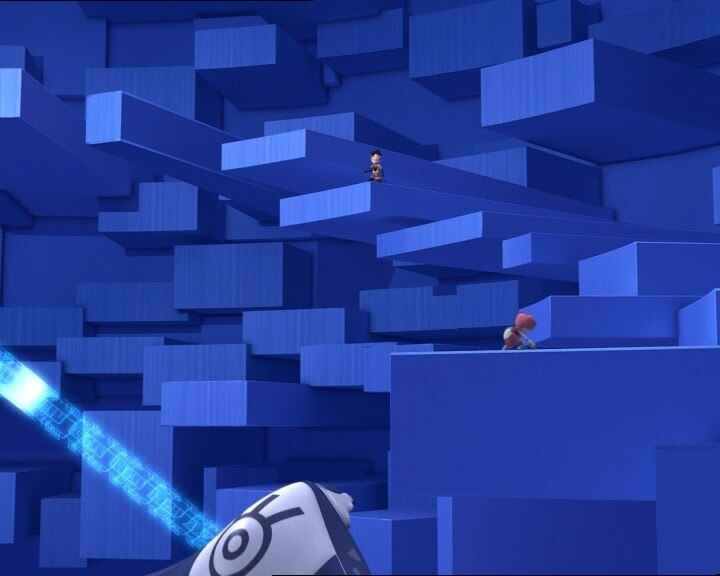 - First and only episode in which the title screen shows not a tower, but a Holomap, where the Forest, Desert and Ice Sectors are missing after their destruction in episodes 54 “Lyoko Minus One”, 58 “The Pretender” and 61 “Sabotage”. Reference to the first man to walk on the moon! Passing Go is a reference to the game Monopoly in which all players start on Go, then make their way around the board and pass Go when they get back to the start again, collecting $200. Modification of the game draw straws. The tango is a dance often performed as a couple. - When Yumi is in her room with the can, we can see a plush toy sitting on her desk that strongly resembles Ernie from the American children's series Sesame Street. Ms Hertz: Belpois! I gave you an A-. The minus was a reminder that there is no such thing as perfection. Stern, you are clearly pushing the limits of your I-don’t-care attitude. A nucleus is not made up of croutons, but protons. D-! If memory serves, and mine is more reliable than yours, you promised you’d put in an honest effort, didn’t you? Ms Hertz: This is not going to help you at the academic review tomorrow morning. Poliakoff! Ms Hertz: Zero. A kilogram of mercury goes not weigh a tonne! So if I were you, I would stop snickering like an idiot! Jeremy: I’ve got some good news! I’ve finally found a way to virtualise you directly into Sector 5! Not bad, huh? Odd: You mean without going through the Transporter? Jeremy: Yeah, that’s right! By interpolating the source codes in Planck’s quantum space, we can get around the Eisenberg uncertainty theory. The only risk is coming up with a mathematical singularity! Odd: The shortest string bean is it! Ulrich: Here, I’m leaving you my cherry soda, in case I don’t make it back. Odd: You’re kidding! Thanks, but I couldn’t possibly accept! Here Yumi, you’re the most worthy heir to the great Ulrich, the first man to set foot on Sector 5 without passing Go! Ulrich: Jeremy, you sure you know what you’re doing there? Odd: Where is he? Did he take the local instead of express? Jeremy: He…he doesn’t even show up on the screens anymore! 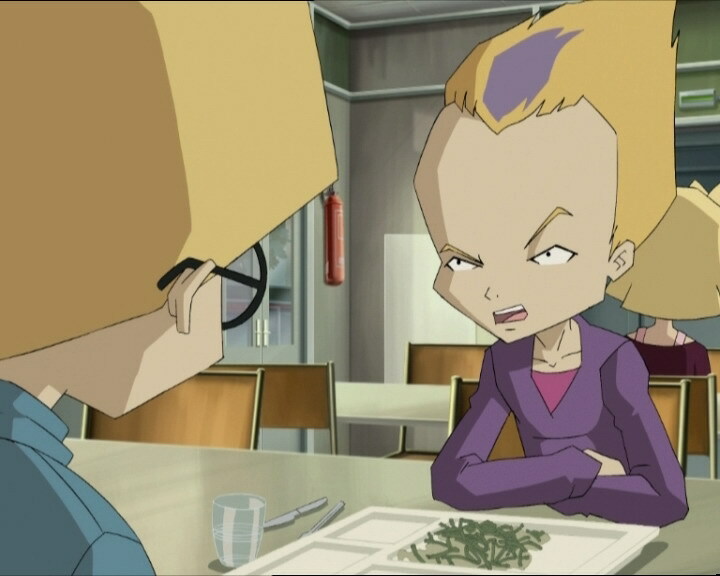 Jeremy: Nothing in the Mountain Sector, nothing in the Arena, nothing in the Celestial Dome, nothing in the Core of Lyoko, and not a trace in Sector 5 either! Yumi (aggressive): What are you saying? Yumi (on the verge of exploding): Go on, you can keep trying. But the truth is you messed up big time and Ulrich might be lost forever!!! Odd: You get off of there! Ulrich: Nice, thank you for such a warm welcome! Ulrich: Jeremy, what’s happening to me? Jeremy: Nothing. Still no sign of Ulrich. Odd: Come on, he couldn’t just disappear into thin air! Ulrich: What do I have to do to make you see me?! Ulrich: Looks more like a big system bug to me! Odd: That’s fantastic! All my training methods have finally paid off, Kiwi’s talking! Ulrich/Kiwi: No, no, it’s me talking! Ulrich! From inside Kiwi’s body! Odd: What an adorable little diggety dog! Ulrich/Kiwi: Knock that off or I’ll bite you! Odd: Oh, you mangy mutt! Yumi: Yes Jeremy? (she sits up excitedly) Alive?! Oh! That’s great! Where did you find him?! …huh? Kiwi? Jim: Hey! Heya! Who’s that handsome-looking guy? It’s Jim Morales! Ulrich/Jim: Ahem! Who’s that handsome-looking guy? Who’s that handsome-looking guy? Who’s that handsome-looking guy? Ms Hertz: Jim darling! You once told me you used to be a professional ballroom dancer in Buenos Aires! Ms Hertz: Ever since you mentioned that I’ve been absolutely dying to learn how to tango! Ms Hertz: I’ve got a date with Pedro for the Sunday afternoon dance and brunch and I’ve got to learn how to dance the tango by then! If I don’t he won’t pay any attention to me! Ms Hertz: Oh! I must have given that boy a thousand chances! Honestly, I’m sick and tired of that lazy good-for-nothing! Come on now, Jim, let’s tango! Ulrich/Jim: Uh-uh! No second chance for Ulrich Stern, no Australian tango lessons! I am outta here! Ulrich/Jim: Quiet down! Sounds like a zoo around here! Ulrich/Jim: Odd! Cut it out! It’s me, Ulrich! Ulrich/Jim: Ok, after the academic review. It’s too important, especially after what just happened with Ms Hertz. Mr Delmas: Odd Della Robbia! It’s time for your class’s academic review. You are the class representative! Jeremy: Yumi, something is wrong. Ulrich’s body seems to be…moving on its own. Yumi: But isn’t that normal? Jeremy: Of course not! Without Ulrich’s brain it should do anything! Mr Delmas: Right, and now let’s look at the file of Jeremy Belpois! Mr Fumet: All’s well, nothing to add. Ulrich/Jim: Never makes a mistake?! You must be kidding! Ms Hertz: Mister Morales! Sports aren’t everything, you know! Mr Delmas: Does everyone agree that Della Robbia has remarkable potential, and that he is lazy as the day is long? Odd: But wait! Personally, I think he’s made a lot of progress, especially in gym! Isn’t that so, mister Morales? Ulrich/Jim: Uh…yes, yes! A lot of progress! The other students aren’t afraid anymore when it’s his turn at the javelin, and he’s stopped dropping the shotput on his toes! Mr Delmas: So now, we’ve come to the case of Ulrich Stern. Anyone care for some turnip soup? Afraid that’s all there is. Mr Fumet: I think we have a serious problem. Mr Delmas: Yes, this is scandalous! They could’ve left some sort of variety, like tomato or vegetable or even just coffee! Mr Fumet: No, I was referring to Ulrich Stern! Ms Hertz: He has simply stopped working! He does absolutely nothing at all! His grades are terrible! At best, as far as I’m concerned, I recommend he be transferred down to ninth grade remedial, where he has a vague chance of catching up! Mr Delmas: Right, so is everyone in agreement? Ulrich/Jim (standing): I do not agree at all! Odd: And neither do I! Mr Delmas: Go on. You have the floor, Jim. Mr Delmas: We were what? Ulrich/Jim: You were once adolescents. Ulrich/Jim: Remember how much your emotions affected your work at school? Who in this room could say that they have never felt lost? Never had problems with their parents…never had girl or boy problems…Stern is gonna straighten out! He promised me! So seriously now, don’t you all think he deserves a second chance? Ms Hertz (furious): And as the senior teacher I feel absolutely bound to impose my veto! Stern should be transferred to ninth grade remedial and that’s all! Ulrich/Jim: Suzanne, can I have a word with you? Ulrich/Jim: Listen Suzanne, if you give Stern a second chance, then uh, you have my word that I’ll teach you the tango, the rumba, the cha cha cha, and any other stupi…uh…ballroom dance you want! I swear! Ms Hertz: Well then…alright. Since everyone is against me, we will leave that thumb-twiddling mister Stern in his current class. Ms Hertz: But if he doesn’t shape up, I’ll ship him out! Odd: Can I please go to the bathroom? Ulrich: I hope he doesn’t flip out on us…! Odd: I bet this’ll be something he’d rather not talk about! Yumi (seeing Jim unconscious): Who went and left our gym teacher on the floor asleep? Ulrich: Oh, it’s a great feeling to have my body back! Ulrich: Stop! There, under your foot! Jim: Well thank you, Stern! You saved me on that one! But uh…why did you do that? Ulrich: Let’s just say that…I’ve been in your shoes! Jim: Well done, m’boy! I can see that something positive’s gotten into that head of yours! Ms Hertz: Jim! I’m ready to dance! What should we start with? Tango? Paso doble? Rumba? Jim: Personally I’m starting with a hot cup of coffee and six donuts! After that, I’ve got jogging with the eighth graders. Ms Hertz: But…what about my ballroom dance lesson? You promised me! Jim: Hey, hey, hey, hey! Suzanne! I think you had one too many herbal teas last night! They do weird things to your head!